3 Bedroom Terraced For Sale in Rotherham for Guide Price £85,000. 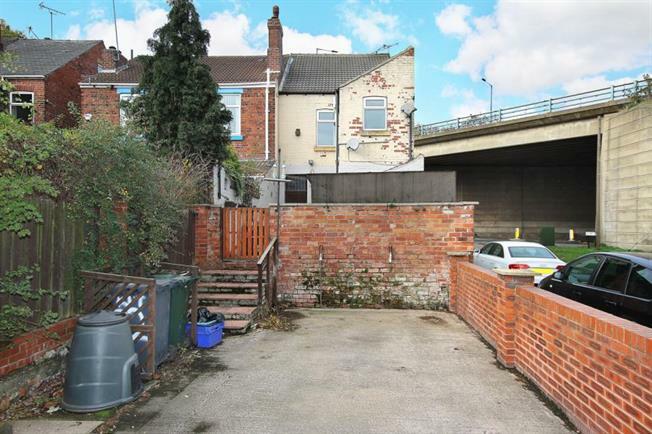 This property's price has dropped from £120,000 to Guide Price £85,000. FEATURED IN THE BIG OPEN HOUSE please call for viewing arrangements. GUIDE PRICE 85,000 - 95,000 GENEROUSLY PROPORTIONED! IDEAL INVESTMENT/FAMILY HOME! Fitted kitchen, cellar, attractive gardens and off street parking! NO CHAIN INVOLVED! Only by taking an internal inspection can this end terrace family home be fully appreciated. Offered for sale with no chain involved and giving access to local amenities, public transport and commuter links. Of interest to a varied purchaser this three bedroom home must be viewed. In brief the property comprises of spacious lounge with feature fire surround, Separate dining room with access to the cellar. Kitchen which has a range of fitted wall and base units. First floor landing two larger than average bedrooms and family bathroom having a white three piece suite. From first floor landing stairs rise to attic bedroom three. Outside forecourt garden to the front and to the rear there is a patio garden with storage areas and off road parking.